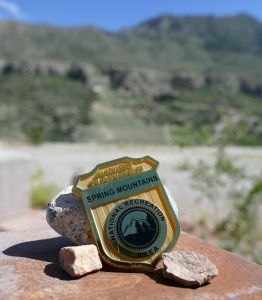 Learn about the Spring Mountains, what it is like to work in a National Forest, Leave No Trace principles, and how to be a responsible Junior Ranger! The program lasts about an hour, involves some movement and short hiking, and is best suited for kids ages 5-10. Check the calendar for specific time and location, as it changes with the seasons. 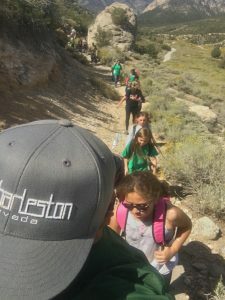 Interpretive hikes at Mt Charleston are 60-90 minute guided hikes with specific theme such as geology, erosion, plants, wildlife, and more depending on the most prominent traits of the trail itself. 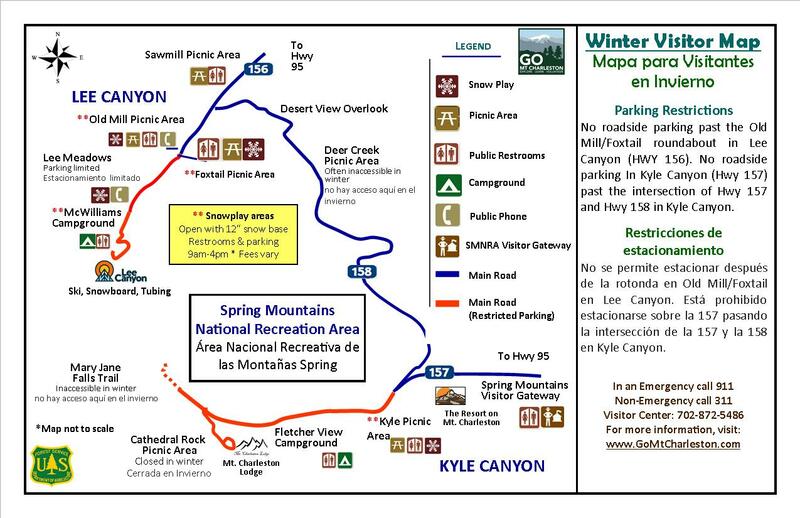 Interpretive hikes are done at a leisurely pace on all levels of trails, depending on season, subject, and group. 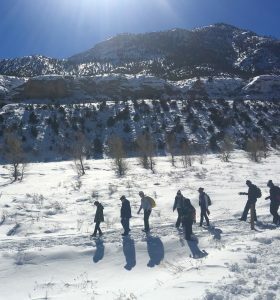 These hikes are great for newcomers who would like an introduction to the Spring Mountains and for regulars who want to know more about the woods they've visited for years. Most hikes are free and do not require registration, though evening hikes and more detailed hikes will require registration and fees depending on the program. Visit the Event Calendar to search for an interpretive hike that suits you! Night hikes are one of our most popular programs. Travel with a trained naturalist out into the forest or along a trail after the sun has set. Night hikes are timed with dusk or the full moon to ensure that our eyes can adjust properly. Learn about nocturnal animals and how they have adapted to the twilight in order to survive or about astronomy and how one can use the stars to navigate and even tell what time of year it is. Night hikes include a small amount of hiking through easy terrain as well as various activities out in the dark. Bring a flashlight, but don't plan on using it. *Those with night blindness or vision problems may have issues on this hike. Check the Event Calendar for times and registration requirements. Interpretive programs don't involve hiking, but include activities that may require some movement. These programs focus on specific topics such as how to recognize signs of wildlife, archaeology, and wildflowers. 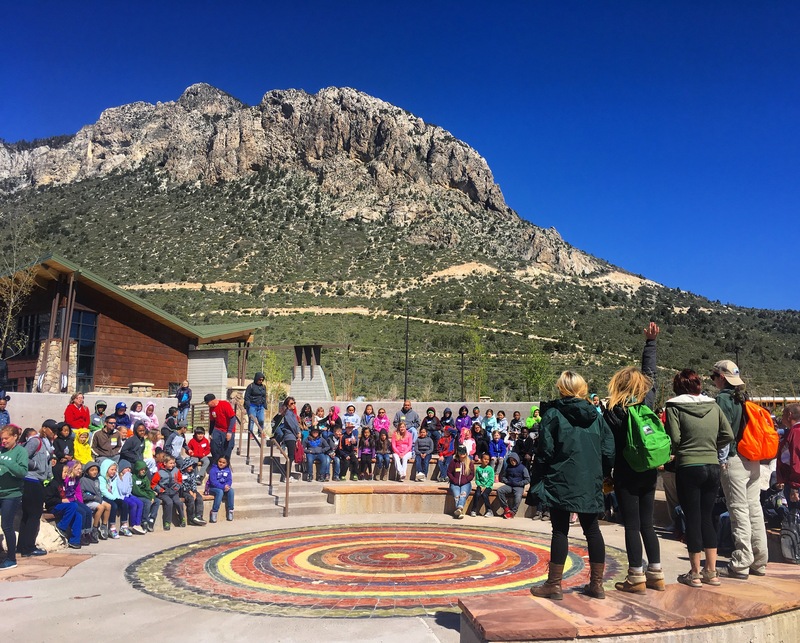 We have walk-up tabletops weekly around the Spring Mountains at the Spring Mountains Visitor Gateway and trailheads, but check the Event Calendar for times and registration requirements for special programs. Do you have what it takes to be a scientist? 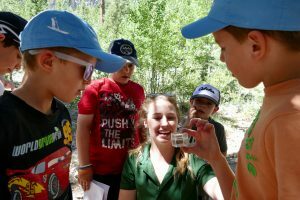 Learn about an endemic species found only in the Spring Mountains on this citizen science day of fun! Each safari has a specific creature or plant we are looking for. Set traps and help scientists collect data. An educational program and crafts are included. Safaris typically run from 9:00AM-11AM. Safaris have limited capacity so registration is required. Once registered, a confirmation letter via email with the location of the safari, how to get there, and what to expect. Workshops for all ages and all skill levels are held at various locations on the mountain. Please check out our Event Calendar for more information and details on all of our art programs. Snowshoe hikes involve just that: donning on a pair of snowshoes and trekking out into the white beyond. Snowshoe rental is included in the fee. Learn how the seasons change in the Spring Mountains, as well as how animals adapt for the freezing cold and how that compares to our own survival out in the snow. Our snowshoe hikes are about two hours long with fitting and introduction. Extra socks, a hat, and sunglasses are recommended. Registration is required, and link to registration will be on each listing on our Event Calendar. Hike capacity is limited. Once registered, you will receive an email with the location of the hike, how to get there, and what to expect in regards to weather and clothing needs. Note: Snowshoe hikes are dependent on proper snow levels. Hikes may be cancelled if there is not enough snow on the ground.